Cooking without a Net: Would You Like a Little Sugar with Your Sugar? 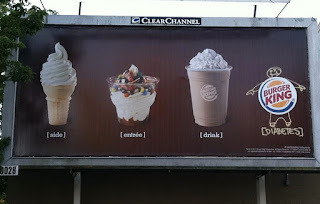 Some graffiti artist decided to tell it like it is on this BK billboard in Seattle. I wonder how long it will last.